There are a number of ways to add a little bit more decor into your garage. One of them is adding color flakes or color chips to the floor and even to the walls of your garage. These tiny flecks of paint that are about ¼” in size and made with polymer paint can make your plain old garage look a little bit more colorful as color chips and color flakes can be custom colored to suit your needs. The color chips can also add texture and remove that awful squeaking sound that you get when you run your car over a very smooth, painted garage floor. Your garage is probably the least decorative part of your house. Some people ask “what is there to decorate when this space only serves as a room for your car and tools”. While that is true it doesn’t mean that your garage does not deserve a little jazzing up to make it look neat and pleasing to the eye. 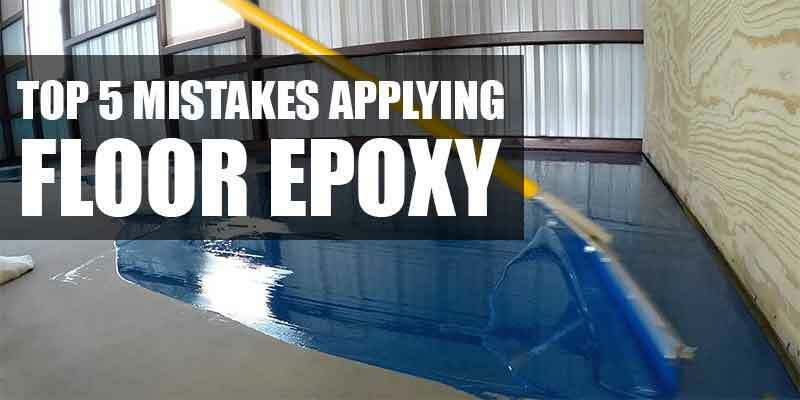 When used together with an epoxy coating, color flakes also add thickness to your garage floor, making it more durable and resistant to hard impact from falling tools and heavy machines in the garage. 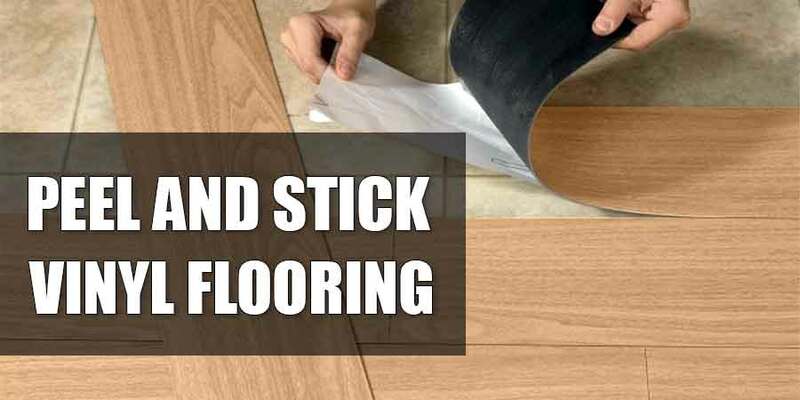 They also hide the floor cracks and surface imperfections that can otherwise be easily seen if the garage floor is painted in a plain color. 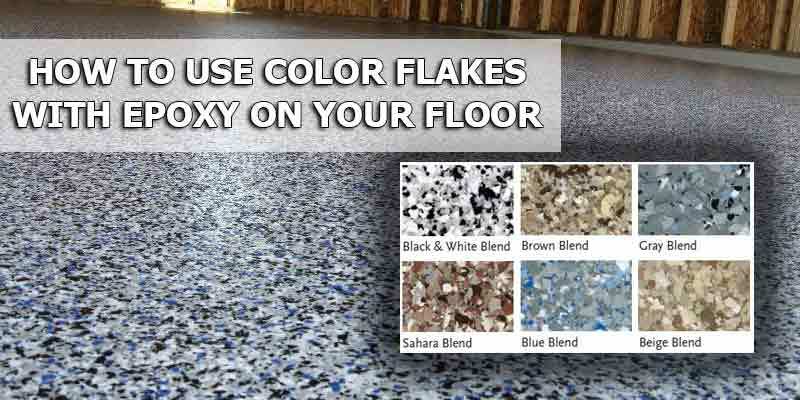 There are 4 degrees of coverage that you can use to put the color flakes and color chips to your garage floor. These are light, medium, heavy and full coverage. Light Coverage as the name implies uses a small amount usually 0.002 pounds per square foot of garage area. 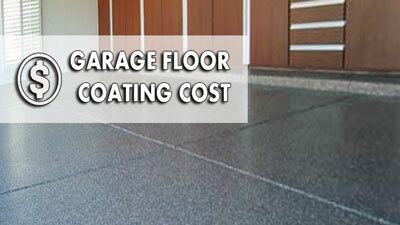 For this coverage you are simply adding a touch of color to your plain garage floor. The color of the floor can still be easily seen underneath the color flakes. 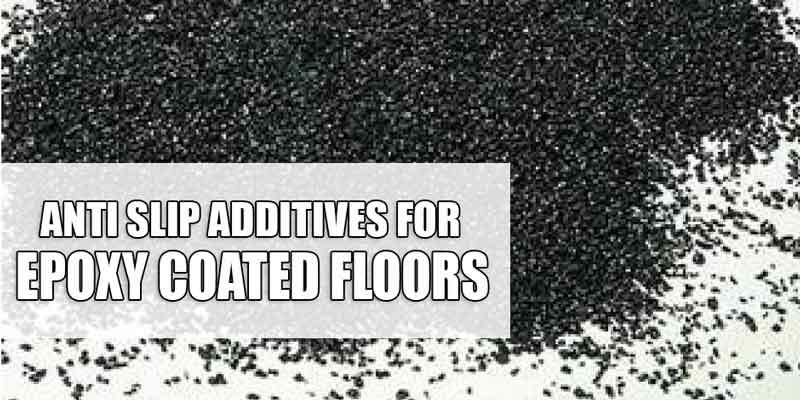 Medium Coverage takes a little bit more flakes, around 0.02 pounds per square foot and is what people commonly use. It provides enough coverage throughout the floor of your garage without looking like a huge bag of confetti of color flakes just exploded in the room. 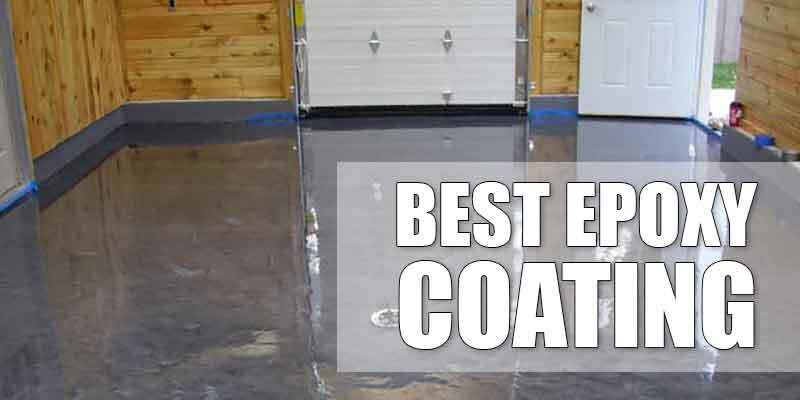 Heavy Coverage requires approximately 0.04 pounds per square foot of garage floor. It will cover a huge length of your garage but the paint underneath can still be seen somehow. Full Coverage which is the most expensive among all will need approximately 0.15 pounds of color flakes per square foot. Full coverage, also known as full refusal, covers the entire floor of your garage making the base paint fade into the background completely. These are all just approximations of the amount of color chips you will need to buy if you are planning on adding them to your garage. When in doubt and if you want to make sure you don’t run out, buy more of the same color flakes to add to your garage. You can still use any leftovers later on for other parts of the house. When choosing what color of color flakes to use for your garage you must think first of the type of coverage you want to have. For light to heavy coverage make sure that the colors compliment the base coat of your garage as this will remain visible after you have applied the color chips. For full refusal it would not matter since you will be covering the entire garage floor with the color chip flakes. Most color chips are composed of 3 colors but you can customize them if you still want to get that unique combination for your garage floor. It is safe to start with a dark color like black then add a contrasting color like white then add a new color that looks brighter in the mix. You can even ask your local color chip seller if they can blend a special color chip combination if your color of choice is not available. Don’t be afraid to mix and match colors. If you want to have a colorful garage, go crazy and combine more colorful chips together. To apply the color chips and color flakes to your garage floor it is better to put them all in a small bucket, grab a handful and toss them in the air as if you are tossing confetti to a bride and groom as they exit the church. You don’t want to throw the color chips like you would throw a Frisbee because the concentration of the color chips might become uneven. Tossing it to the air first helps them disperse and land more evenly over the surface. Apply the color chips and color flakes to your garage floor within a few minutes after painting, ideally within the next 10 minutes, so that the color chips can adhere to the floor while it dries. 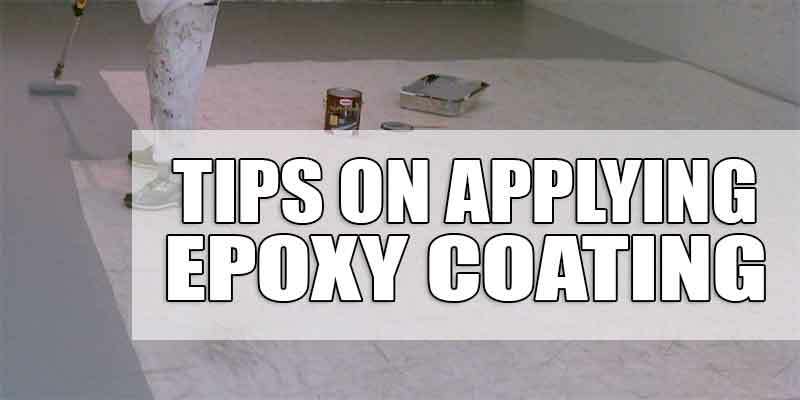 Remove the excess color flakes after most of them have adhered to the surface and apply a clear top coating of epoxy or polyurethane to further glue the entire thing together. Depending on the thickness of top coat you use, your garage should have a floor surface that’s a bit rough to the touch and have a little texture to it. Let everything dry completely. This process usually takes a day or two, depending on the weather. Do not get your garage floor get wet as the base paint and color chips may not stick to the floor properly and incur bubbles on the surface. Do not let people come and walk all over the floor and keep it dry as much as possible. Check the surface before parking your car inside your newly painted and flaked garage floor. 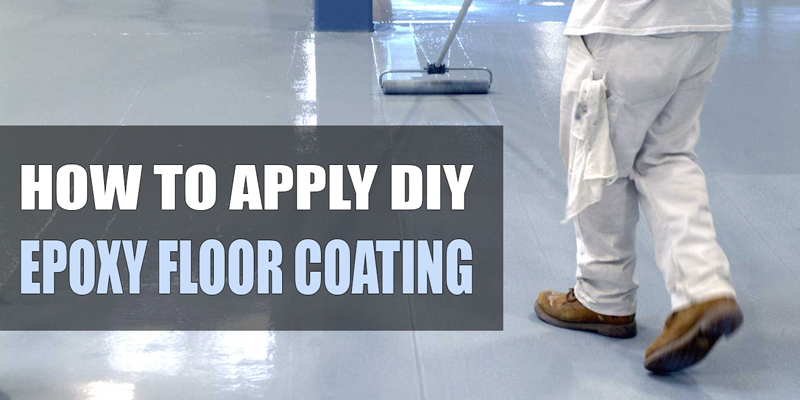 You can opt to have a professional do the painting and color flaking for you to eliminate the hassle and the guesswork to applying them on to your garage floor. This comes with a price of course but that price will ensure that your garage floor won’t look like an art class project. If you want to do it yourself, the information provided here will do the trick. After applying the paint, color flakes and top coating you should have a garage floor that looks a bit more colorful and textured than before. Happy decorating!